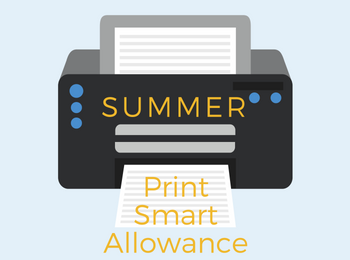 Summer Print Smart allowances are now active. 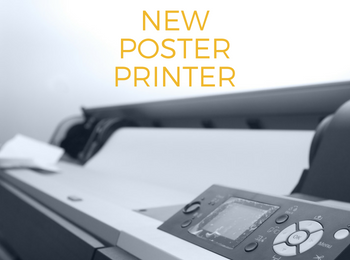 If you are enrolled in summer semester, you can print. The summer allowance is $7 for undergraduate, graduate, and professional students. If you are not enrolled, you can still print to the Circulation Desk printer in Ellis Library for $.05 per page. Fall semester allowances will be active on August 6 for students enrolled in fall courses. Check your Print Smart balance online any time. We do not know the exact place and time of Aldus’s birth. Most scholars agree that he was born around 1449 near Rome, and died on February 6, 1515, apparently after a long illness in Venice. At about 1501 Aldus adopted his famous printer’s device of dolphin and anchor. According to the popular legend, Cardinal Pietro Bembo gave Aldus a denarius of Vespasian, on the reverse of which was the image of a dolphin entwined with the anchor. Aldus’s motto σπεῦδε βραδέως (make haste slowly), or festina lente in Latin, is attributed to Augustus by Suetonius. “The Prince of Humanists”, Erasmus, made a cheeky compliment to the “Prince of Printers” in his Adages: “Aldus, making haste slowly, has acquired as much gold as he has reputation, and richly deserves both.” The more delicate Bembo thought that the image was to symbolize Aldus’s aim to “produce much by slow action”. It would became the most famous printer’s device of Aldus’s time, pirated by the contemporary publishers and just crooked printers, coveted by book collectors of all times. Demand for Aldine texts was high. Aldus once remarked that the pace of work in his shop was such that "with both hands occupied and surrounded by pressmen who are clamorous for work, there is scarcely even time to blow my nose." Between 1494 and 1515 he produced some 134 editions: 68 in Latin, 58 in Greek, and 8 in Italian. A typical edition ran to 1000 to 2000 copies. Aldus Manutius Romanus, 1449-1515 will be on exhibit in the Ellis Library Colonnade through February 2015.